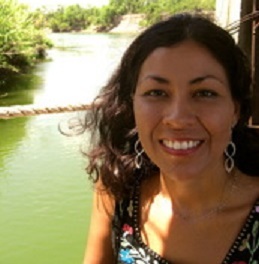 Claudia Castro Luna served as Seattle’s first Civic Poet from 2015-2017 and is the author of This City (Floating Bridge Press). She is a Hedgebrook and VONA alumna, the recipient of a King County 4Culture grant and a Jack Straw Fellow. Born in El Salvador she came to the United States in 1981. She has an MFA in poetry, an MA in Urban Planning and a K-12 teaching certificate. Her poems have appeared in Poetry Northwest, La Bloga, City Arts, Taos Journal of International Poetry and Art, among others. Her non-fiction work can be read in the anthologies, The Wandering Song: Central American Writing in the US, (Northwestern University Press); Vanishing Points: Contemporary Salvadoran Narrative, (Kalina Eds) and forthcoming in This Is The Place: Women Writing About Home (Seal Press). Living in English and Spanish, Claudia writes and teaches in Seattle where she gardens and keeps chickens with her husband and their three children. She tweets here. Her blog here.